It was a very clean, quiet place with all basic facilities available. Recommend it for a night's stay if you need to stay at this location. Excellent choice of vegetarian menu. Good preparations. Friendly staff. Staff was friendly and helpful (special thanks to Mr. Bubiti in the front office for his care). Free WiFi was quite satisfactory. Sehr nettes Personal; gute Lage, falls man nur kurz in Sohor ist; Zimmer nach hinten sehr ruhig; Frühstück machte satt. 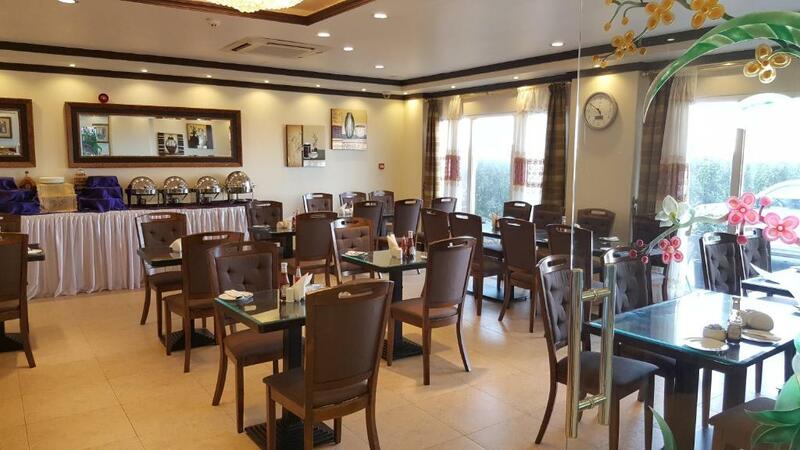 Al Thuriah Hotel Apartment is located on Sohar, near Dubai-Salalah Road. The restaurant serves seafood and has a breakfast buffet. Free WiFi is available in all accommodations. The rooms and suites in Al Thuriah Hotel Apartment are air-conditioned and include a TV and a mini-bar. The bathrooms include a bath or a shower, and come with a hairdryer and free toiletries. There is a 24-hour front desk that can help with laundry and ironing services. 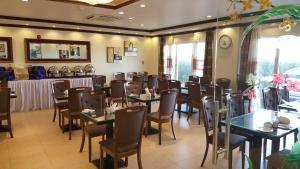 There is a business center offering meeting facilities. Free private parking is available on site. 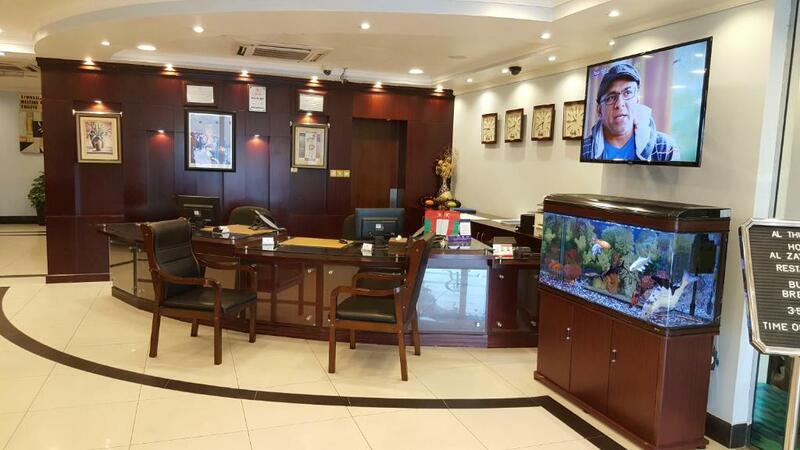 This property also has one of the top-rated locations in Al Khuwayrīyah! Guests are happier about it compared to other properties in the area. This property is also rated for the best value in Al Khuwayrīyah! Guests are getting more for their money when compared to other properties in this city. When would you like to stay at Al Thuriah Hotel Apartment? Air-conditioned room with a TV, mini-bar, and tea/coffee maker. Spacious air-conditioned suite that includes a seating area with a satellite TV, mini-bar, and tea/coffee maker. The bathroom has a hot tub, and includes a hairdryer and free toiletries. Air-conditioned suite that includes a seating area with a satellite TV, mini-bar, and tea/coffee maker. The bathroom has a hot tub, and includes a hairdryer and free toiletries. Each hotel offers you warm hospitality that combines style, design and culture. We are especially proud of our connections with local creatives – from artisan food and drink, to art and craftsmanship – whose products and services you’ll find in the very fabric of our hotels. By working with these like-minded partners we can also offer you one-off in-house events and experiences. We’ve chosen our locations to parachute you straight into the heart and soul of each area. It’s all on your doorstep for you to explore and discover, and our knowledgeable team will be bursting to tell you about great little places they know you’ll love. Our service to you is fresh, exciting, energizing and grows organically. We build our service around what you tell us you like, so that with every day, and with every stay, you will find yourself thinking – this hotel really is My Hotel. 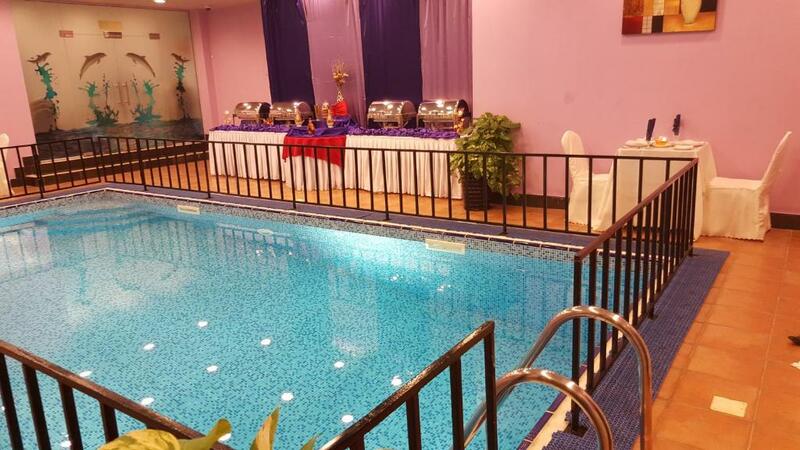 Al Thuriah is also tied as a sister company with one of the leading Hotel Apartment in Dubai, Rolla Residence Hotel Apartment. Efficient, personalized service is our foremost concern to provide our guests the privacy of home with the conveniences of a five-star hotel. 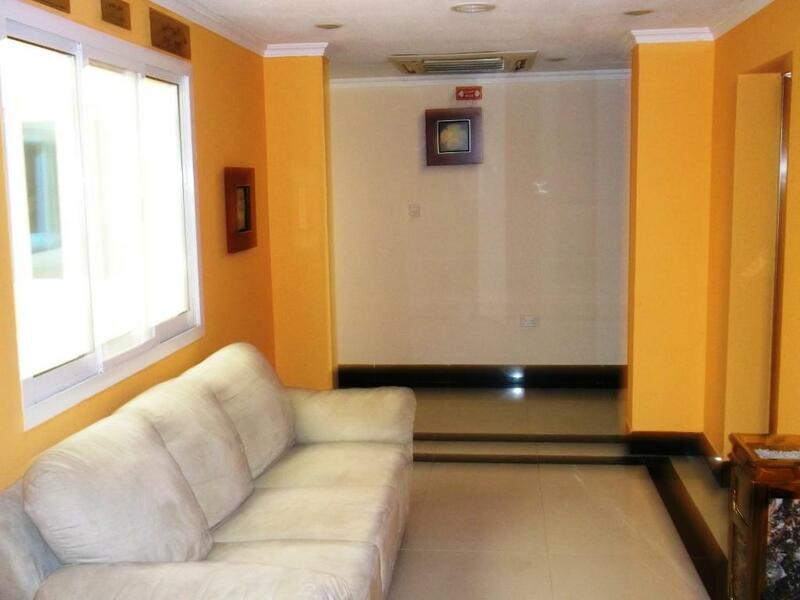 Al Thuriah offers a superior level of fully furnished accommodation and service in SOHAR. It comprises of 36 studios and one bedroom apartments that can be converted into two bedroom apartments to cater the larger families, all elegantly furnished to the highest international standards, with fully equipped kitchens. House Rules Al Thuriah Hotel Apartment takes special requests – add in the next step! Al Thuriah Hotel Apartment accepts these cards and reserves the right to temporarily hold an amount prior to arrival. Please note that the guest has to pay full amount directly to the hotel upon check-out. Cleanliness, age and condition of all furnishings. Breakfast was very Poor. Hotel is located alongside the main road and doors onto the road don't close properly resulting in a high level of traffic noise. A/C units and extractor fans fitted to the rooms/apartments are noisy. It was a bit pricy considering the location and limited amenities. The swimming pool wasn't open so that's a negative as well. Location a bit inconvenient for those who do not have their own car. Taxis availability a bit infrequent. Wifi quality was poor. No supermarket nearby. Hospitality, breakfast and spacious room. Bathroom should overall be improved. Towels were very old and worn out. Housekeeping was not generous for the toilet paper during the stay, so we had to ask for it. Most important issue is that we stayed in a connecting room with an unused door in between. We were very much disturbed by the guests staying in this room who from midnight till the morning made a lot of noise, listened to loud music and SMOKED though all rooms were said to be non-smoking. Smoke was felt because of the gap under the door. The insulation between the rooms was so poor that light, noise and smoke easily passed through. As we had to check out early in the morning, we didn’t call the reception since we got the impression that this issue could worsen.